Spread your home theatre speakers throughout the room without clutter. Wireless components allow for a clean, wire-free room without jeopardizing sound quality. 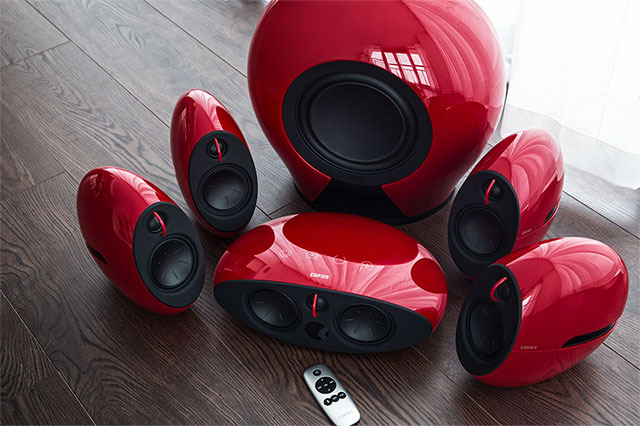 Your room will feel like the set of a movie, experiencing every sound. You’ll think its raining inside your house. Experience phenomenal sound without sacrificing your décor. Edifier’s home theatre systems won’t clash your interior design no matter what room you place them in. Encompassed in a wooden medium-density fiberboard (MDF) and piano finish, these speakers will never go out of style. *MDF for some models only. Edifier’s home theatre speakers come with a lot of parts to create an emotional experience when watching movies and TV shows. But that doesn’t mean each part needs to come in a separate box. 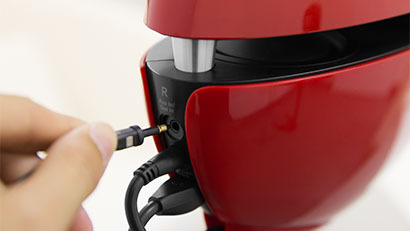 The powerful speakers are conveniently packaged with necessary cables, connectors, amplifiers and batteries. Every necessary part needed to experience fantastic sound is included. 5.1 TV speaker systems are equipped with built-in amplifiers to create natural sound, bringing you closer to the action. With a class D amplifier these speakers make any room rumble. Engineered to deliver fantastic listening experience, each home theatre system is equipped with Dolby Digital and DTS sound decoders. 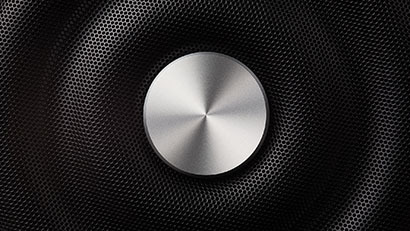 Designed to create flawless sound. 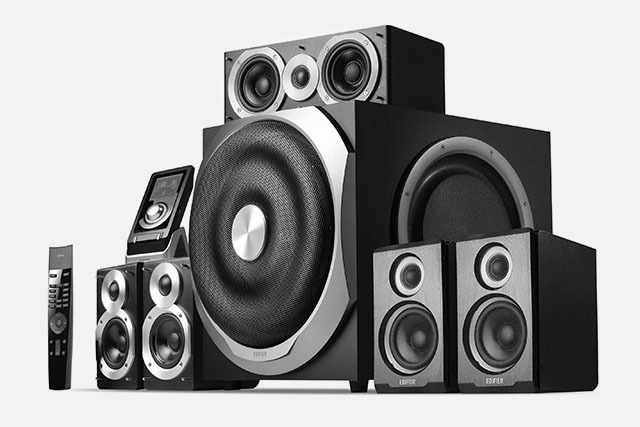 Outputting between 200-240 watts, Edifier’s home theatre speakers will make you feel every sound. Built with 10” subwoofers, these beasts create ground-shaking, clear sound. Endless connection possibilities with Edifier’s 5.1 home theatre speakers. 3 optical inputs for versatility. Coaxial input, analog 5.1 and dual stereo input to listen to any device. Accompanied with wired and wireless controls for your convenience, there is nothing you can’t do with your audio system. 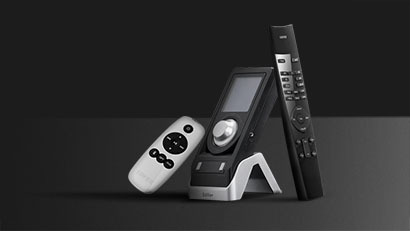 Wired remotes feature LCD or OLED display for volume control, trimmer setting and decoder status.